Unlocking the Cage from Pennebaker Hegedus Films on Vimeo. Unlocking the Cage follows animal rights lawyer Steven Wise in his unprecedented challenge to break down the legal wall that separates animals from humans, by filing the first lawsuits that seek to transform a chimpanzee from a “thing” with no rights to a “person” with legal protections. “They used to bark at me when I walked into the courtroom,” says renowned animal rights attorney Steven Wise. After 30 years of struggling with ineffective animal welfare laws, Wise and his legal team, the Nonhuman Rights Project (NhRP), have found a novel way to protect animals. They are making history by filing the first lawsuits that seek to transform an animal from a thing with no rights to a person with legal protections. Unlocking the Cage documents Wise’s unprecedented challenge to break down the legal wall that separates animals from humans. He argues that based on scientific evidence, cognitively complex animals such as chimpanzees, whales, dolphins, and elephants have the capacity for fundamental personhood rights (such as bodily liberty) that would protect them from physical abuse. In December 2013, Wise and his legal team, using writs of habeas corpus (historically used to free humans from unlawful imprisonment), filed three lawsuits demanding limited personhood rights for four captive chimpanzees in New York State. Supported by affidavits from scientists and primatologists around the world, the NhRP urged the courts to release the animals to “Save the Chimps,” a Florida sanctuary. The New York Times, CNN, The Guardian, and other international media reported on the groundbreaking lawsuits with a mix of curiosity and skepticism. 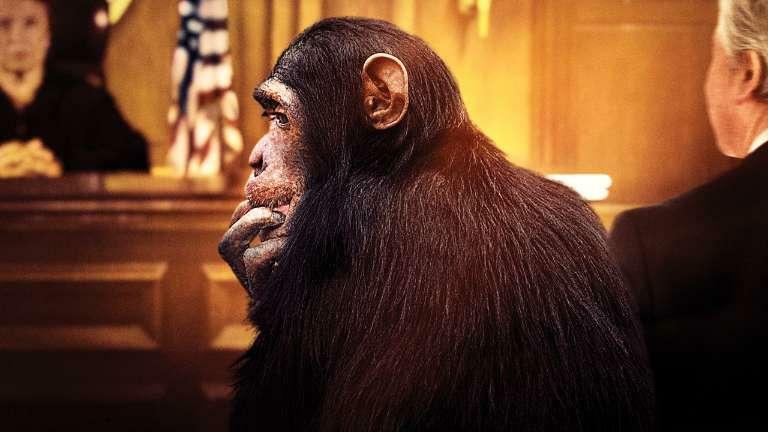 The first plaintiff was Tommy, a 26-year-old chimp who began his life in Hollywood movies and was found living alone in a garage on a used trailer lot. The lower court judge was sufficiently impressed with the merits of the case to direct the lawsuit up to the Appellate Court in Albany, where five judges heard Wise’s argument in October 2014. This was the first time that a U.S. court openly debated the issue of whether or not a nonhuman animal should be considered a legal person. Two months later, the Appellate Division in Rochester considered a second case for a chimpanzee named Kiko, an abused showbiz chimp living in a Niagara Falls storefront. The initial decisions on these cases were wildly divergent, and showcased the legal disarray wrought by Wise’s efforts to enlarge our legal system to include other sentient beings. But it was Wise’s final case on behalf of two chimpanzees, Hercules and Leo, used for research at the State University of New York at Stony Brook, that truly challenged the court. This historic declaration – along with the legal ground that was broken when Jaffe first granted the writ – was a milestone in animal rights. From Wise’s speech at the 2015 TED Talks Conference to his press appearances around the world, Unlocking the Cage captures a monumental shift in our culture, as the media and public show increasing receptiveness to expanding legal rights to animals. It is an intimate look at a lawsuit that could forever transform our legal system, and one man’s quest to break down the wall that separates us from animals. How does a thing become a person? In December 2013, attorney Steven Wise showed the world how, with a little legal jujitsu, an animal can transition from a thing without rights to a person with legal protections. He filed the first-ever lawsuits demanding limited personhood rights for animals, on behalf of four captive chimpanzees in New York State. Steve has spent more than 30 years developing his strategy for animal personhood. After starting his career as a criminal defense lawyer, he was inspired by Peter Singer’s book “Animal Liberation” to dedicate himself to justice for animals. He helped pioneer the study of animal rights law, in the 1980s, and he was the first person to teach it at Harvard Law School, in 2000. Steve began developing his animal personhood strategy after struggling with ineffective welfare laws and regulations that do not keep animals out of abusive environments. Unlike welfare statutes, legal personhood would give animals irrevocable protections that recognize the animals’ critical needs to live in the wild and to not be owned or abused. Our films, such as Don't Look Back, with Bob Dylan, and The War Room, on Bill Clinton’s first presidential campaign, are known for following exceptionally talented and passionate people who have devoted their lives to a particular pursuit. For the past three years, we have watched Steve as he pursues his lifelong dream of giving animals legal rights. We’ve seen the countless hurdles he’s faced, such as losing his first two chimpanzee plaintiffs, and have been there with him for moments that have moved us in ways we had not anticipated, like when Kanzi the bonobo spoke to us though his lexicon board. Steve is determined to change the system, and his optimism and perseverance may very well do it. Already, Steve’s three lawsuits have brought animal personhood to the forefront of the conversation surrounding our society’s relationship with animals. The science is on his side and our culture is shifting. We believe that years from now, Steve’s lawsuits will be seen as a landmark moment that changed the course of the animal rights movement. Looking to the future, Steve describes his work: “Our lawsuits are not the end, or even the beginning of the end, but they are the end of the beginning.” Our goal is that Unlocking the Cage will ultimately inspire people to think differently about animals and why they deserve protection.